The other day I was catching up with a friend and past client who recently has been struggling with her fitness post life-changing event. While we were talking I could tell she was not her usual confident self. Taken off guard she paused or a moment trying to process that statement and with a curious look she asked what the heck does that mean? Those sneaky Gremlins like to fill your thoughts and words with swears that under-mind your confidence, take away choice and create absolutes in your head making it very difficult to grow as a person, keep an open mind or have a healthy self esteem. 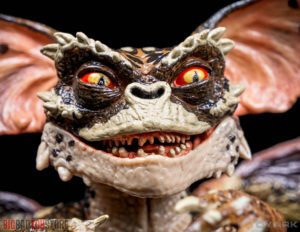 Gremlins like to trap you, and keep you down. I told her about the 6 major swear words that Gremlins feed off of. Of course there can be more, and the context in which you speak with these words and others can be equally troubling. My friend asked me about all the statements she made where I heard the Gremlins. “I have to lose this muffin top by June” – That absolute statement sets you up to feel unworthy and likely to give up if June 1st passes and you didn’t reach 100% of your goal. That statement is a lot better, it’s not an absolute it’s about doing what she can do and of course knowing that she can keep working on it if June comes and goes and she hasn’t lost all of what she wanted she won’t give up. Imagine stressfully saying “I have to” for weeks on end how draining that would be. Imagine what you would feel like if you got to June 1st and you didn’t do what you’ve been telling yourself you “have to” do for weeks and months on end. Imagine how that effects your mood your energy and if you don’t accomplish 100% of it imagine how that makes you feel then. Everybody has them, they are often so subtle they go unnoticed but if you are aware of them you stand a chance at stopping them from ruling your thoughts and words. This week I want you to think about your thoughts about your fitness goals, your abilities and motivations to be fit and lose weight. If you notice any Gremlins controlling your thoughts, use that awareness to change your statements and rid yourself of the Gremlins in your head. Special Thanks To My Coach “Coach Joseph” for helping me see and catch the Gremlins in my head.